Carl Solway Gallery opening for the exhibition "shooting the moon in the eye". The freewheeling spirit of this passage from the poem shooting the moon in the eye by Charles Bukowski (1920-1994) suggests a point of departure for this exhibition of ten contemporary artists curated by Michael Solway. 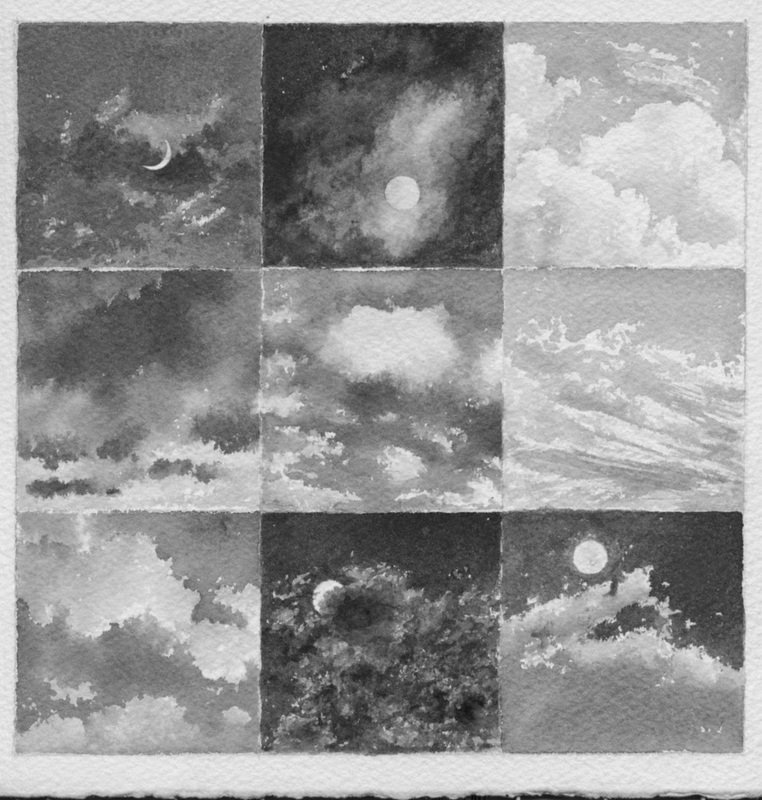 A diverse array of more than 40 recent works in painting, collage, drawing and assemblage will be included. As idiosyncratic and difficult to categorize as these artists may be, their work shares several common threads, most notably a sense of narrative or storytelling, references to the figure that may be literal or oblique, and an astonishing attention to rich texture, detail and sometimes riotous color. The painters Sarah McEneaney, Trevor Winkfield and Alison Elizabeth Taylor comprise the most representational and figurative end of the spectrum. McEneaney’s egg-tempera tableaux depict her domestic environment. Taylor has become well known for reinvigorating the Renaissance craft of marquetry, or intarsia wood inlay, in creating highly realistic imagery. 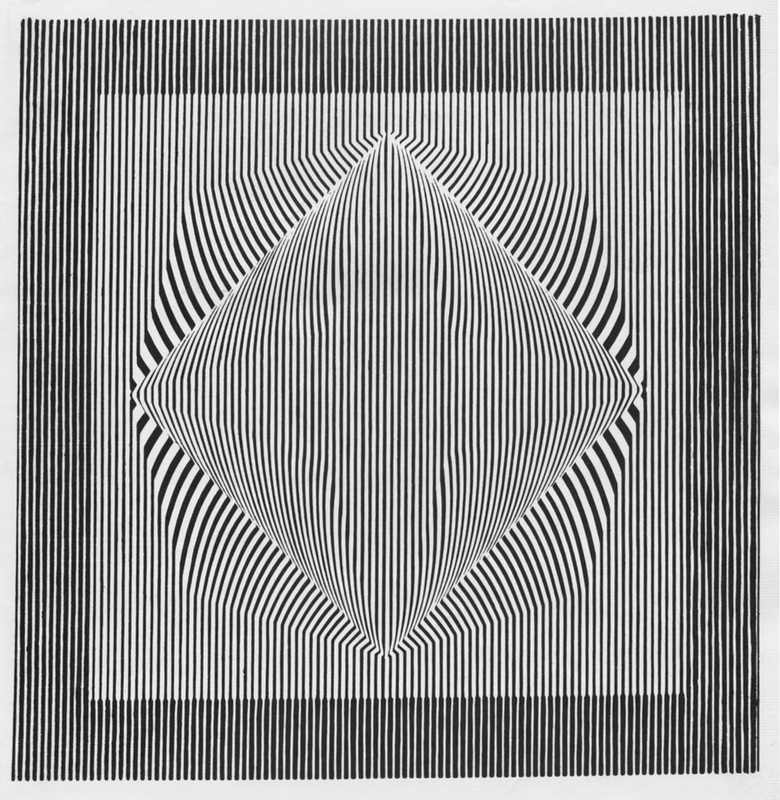 Recently, after working within the boundaries of the limited palette afforded by natural woods, she now mashes marquetry and paint in unprecedented ways. Trevor Winkfield combines absurdist and unpredictable juxtapositions of disparate images, all rendered in a flat graphic Pop Art style. His paintings hint at narratives, although they can also be read as constructed abstractions with recognizable objects worked into the compositions. Shinique Smith’s sculptures and paintings, composed of fabric and cast off clothing, are perhaps the most abstract, although the sculptures composed with twisted clothing intrinsically suggest a connection to the human form. 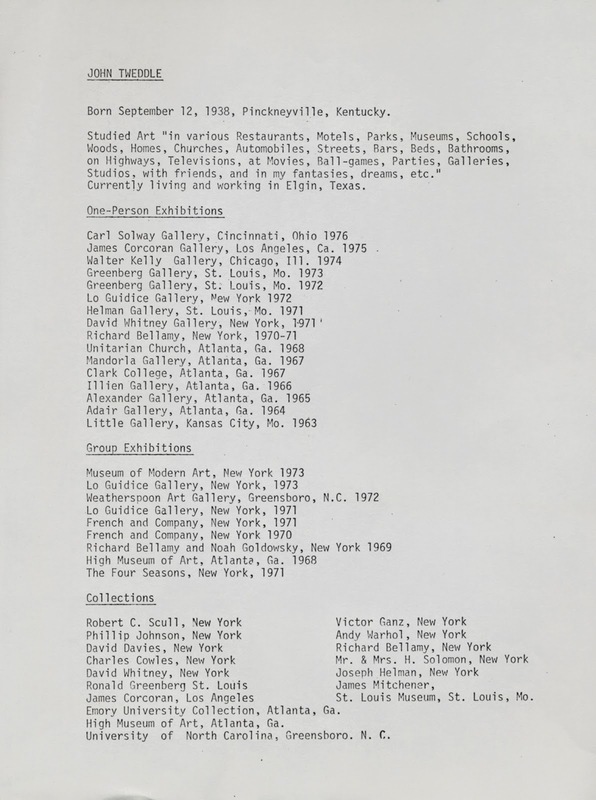 Personal mythologies and sweeping cultural observation inform the prodigious works of William T. Wiley and Trenton Doyle Hancock. Spanning a career of more than five decades, Wiley’s work encompasses painting, sculpture, printmaking, film and performance. His densely layered paintings incorporate superb draftsmanship with sly puns and other bits of fragmentary text addressing important social, political and environmental issues of the times. His work is included in prominent public and private collections worldwide. Trenton Doyle Hancock’s widely exhibited and collected prints, drawings, collaged-felt paintings and site-specific installations tell the story of the “Mounds”, a group of mythical creatures inhabiting a fantastic, invented landscape who are the protagonists in the artist’s unfolding narrative. His works are suffused with personal mythology presented on an operatic scale. 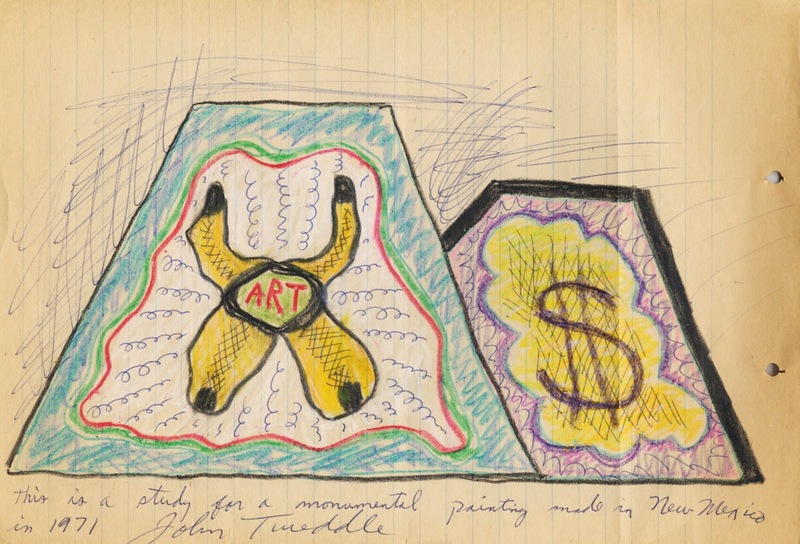 A 20-year survey of his drawings opens in April at the Contemporary Arts Museum Houston. Cultural observation also plays an import role in Matthew Picton’s elaborate sculptures made from cut and folded paper. He constructs cartographic city plans and layers the walls with text and visual fragments unique to the history of the particular city. His constructions are sometimes circular and always involve complex street networks. 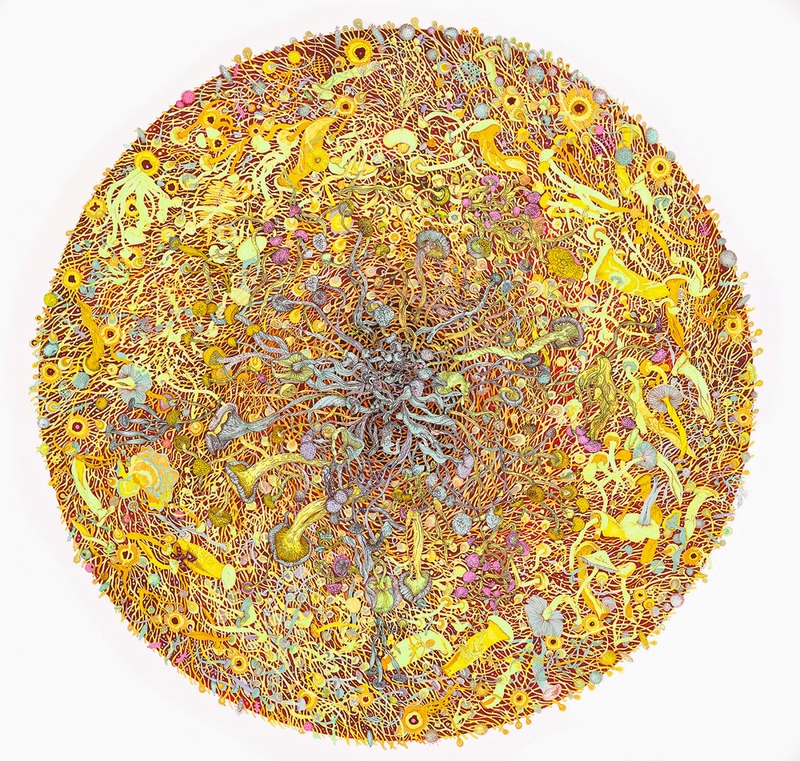 This attraction to the circular form and creation of complex networks is shared by Claire Burbridge, who makes highly detailed ink drawings of mushrooms and other natural elements from her Northwest Coast habitat. John Ashbery is one of this country’s best-known poets and is the author of more than twenty books. He is also well known for his art criticism and collaborations with visual artists. 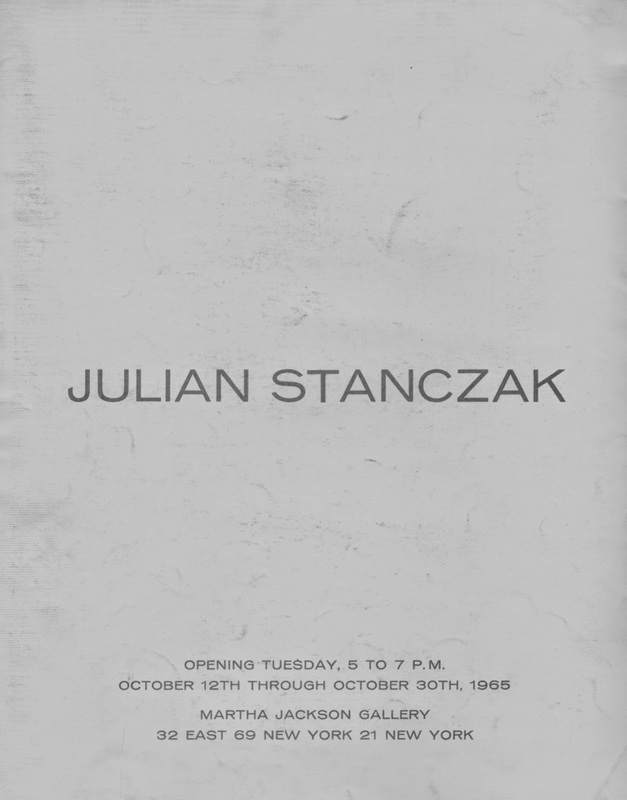 This exhibition will feature his paper collages. 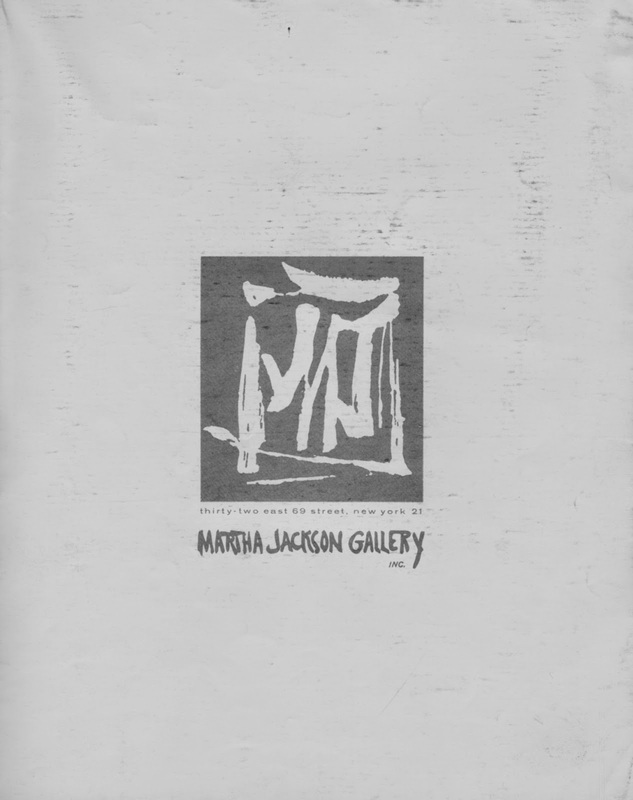 Since the early 1980s, James Hill has been making collage based constructions utilizing such wide ranging sources and materials as appropriated images taken from Italian or French cinema, meticulously woven fabric, printed texts from American Civil War oral histories and often humorous observations about art history. 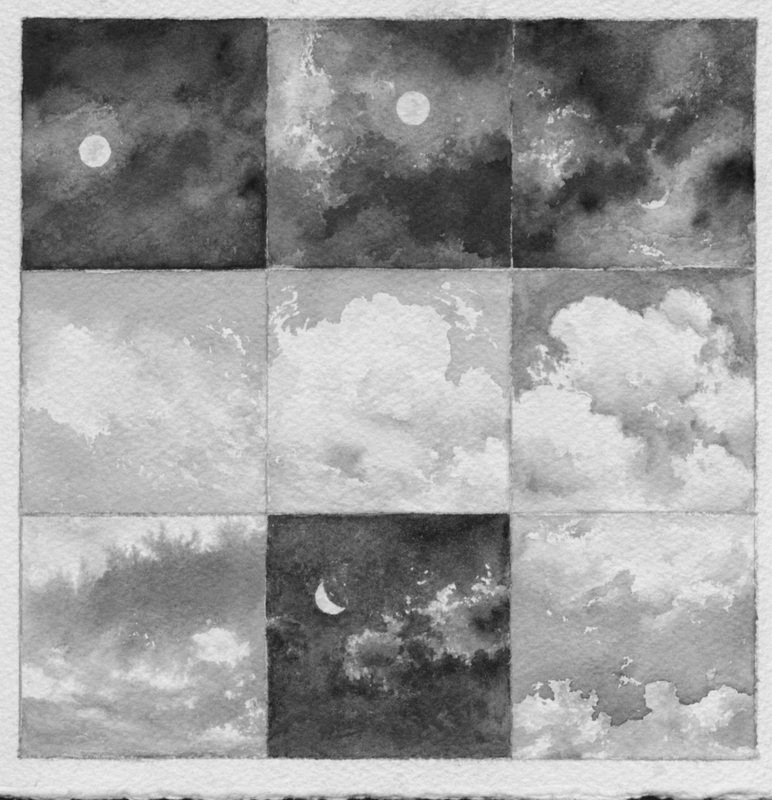 The Earth Poems, 1992, published by Black Sparrow Press, Santa Rosa, CA. 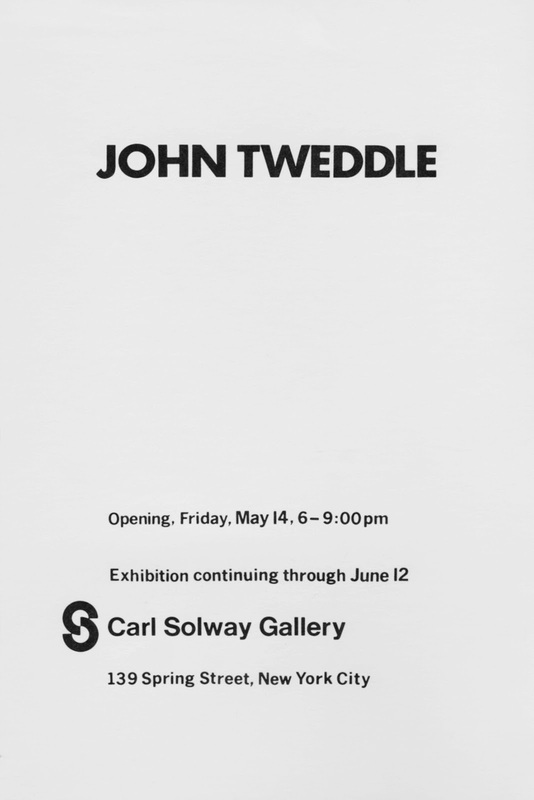 The announcement from John Tweddle's 1976 exhibition at Carl Solway Gallery at 139 Spring Street, New York City. 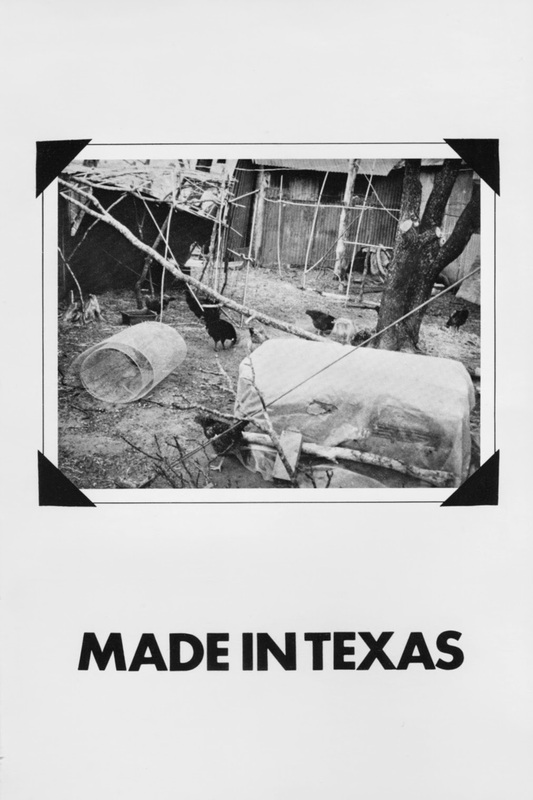 Photograph from John Tweddle's farm in Elgin, Texas. 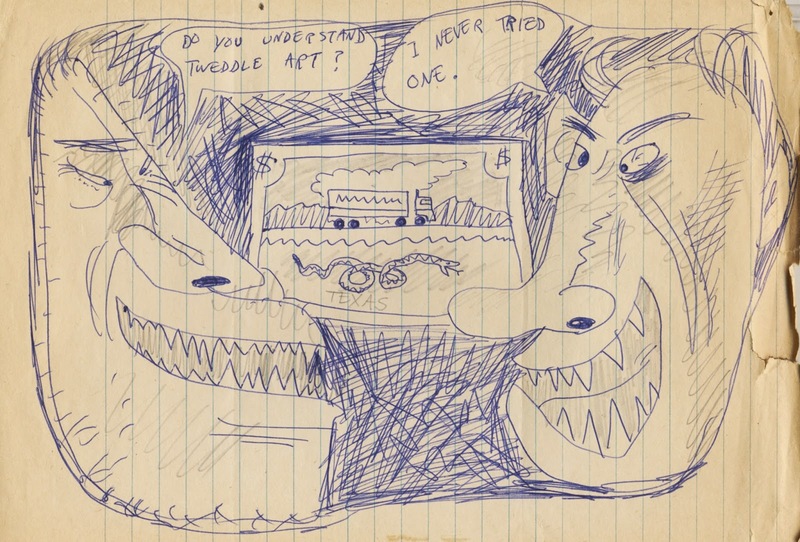 John Tweddle drawings from the Carl Solway Gallery archives. John Tweddle biography from 1976. October 12 - October 30, 1965. Prepared Box for John Cage, a tribute from 45 artists published on the occasion of John Cage's 75th birthday. 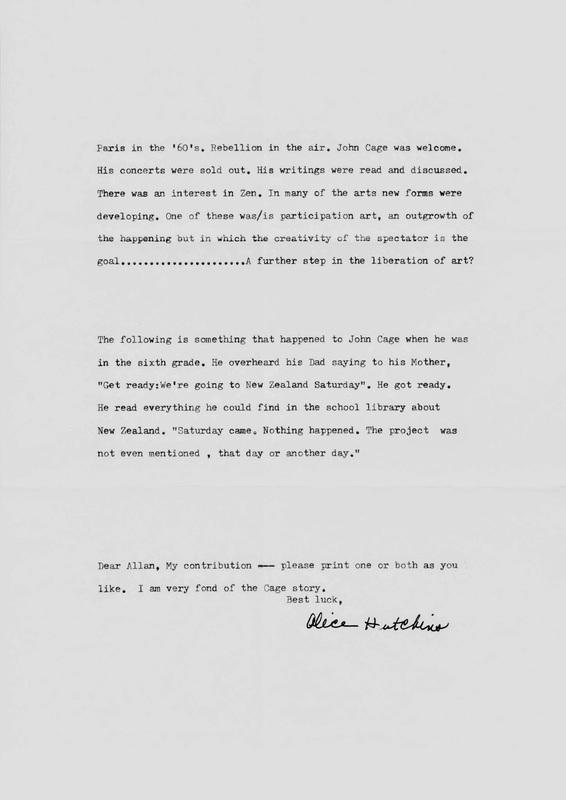 The following letter was sent by Alice Hutchins to Allan Kaprow on March 8, 1987. ELIZABETH DEE Another sculptor, Joel Otterson made a splash in the East Village in the 1980s, but left for Los Angeles and has been missed since. So it’s great to have major work by him both in the Whitney Biennial and at Elizabeth Dee. He can be wonderfully, campily funny. His “Coffee Table Museum,” from 1989, is a precision-tooled kaffeeklatsch on wheels, a parade float of demitasse cups, sugar bowls, creamers. But he’s also deep. “Divine Intervention,” with two human skeletons cast in blood-red glass hovering over a 1960s jukebox, is a heart-stopper: a memorial to a musician friend who died of AIDS, and whose ashes, in a heart-shaped urn, are set among racks of vintage 45s. 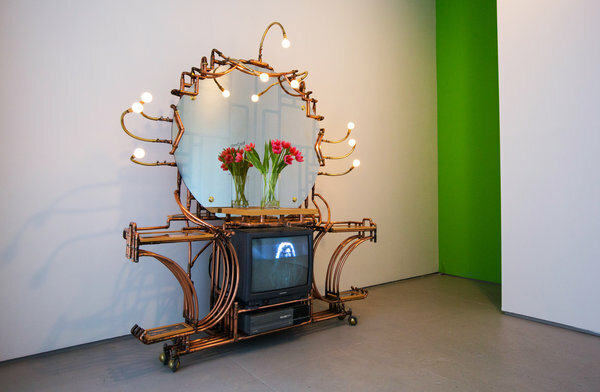 Joel Otterson’s sculpture “TV Vanity,” from 1992, at Elizabeth Dee. 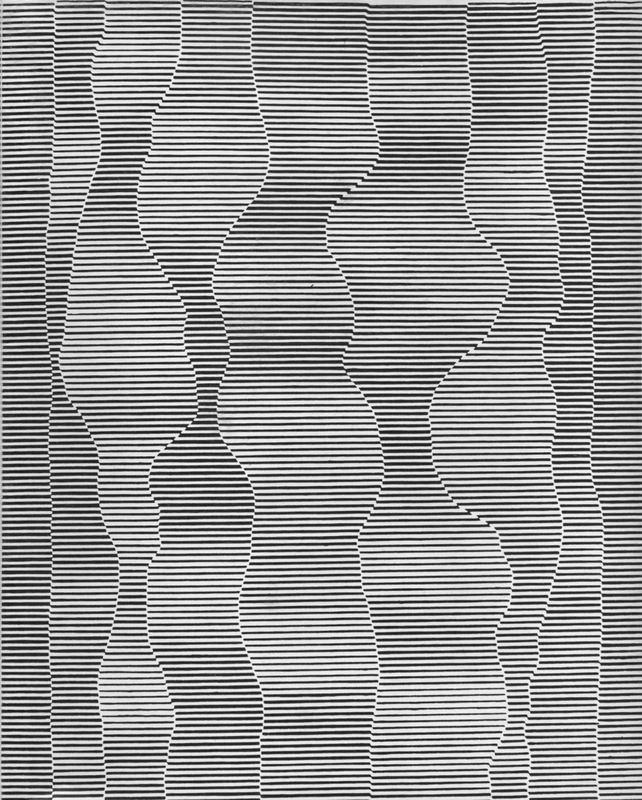 Jim Campbell's first solo museum exhibition opened at the Museum of the Moving Image and an exhibition of new work opened at Bryce Wolkowitz Gallery in Chelsea.